I've taken many executive programs in my career - this is the only program that truly improves your day to day practices by developing you to think like a leader. And, the things I learned, experienced, and struggled with, plus the social networks that were enhanced, directly led to my subsequent career advancement. One of the most engaging and rewarding courses I've ever attended – and I've done lots! There is no other program like it that focuses exclusively on our unique business. It has great network applications and provides insights from around the globe. Today's North American television, digital media and mobile platform environment is experiencing unprecedented shifts and changes. How does your company position itself to provide value as language barriers and borders erode? How do you build a brand that has national and international strength? How do you leverage a collaborative network of talent to innovate and deliver content the customer will pay for? 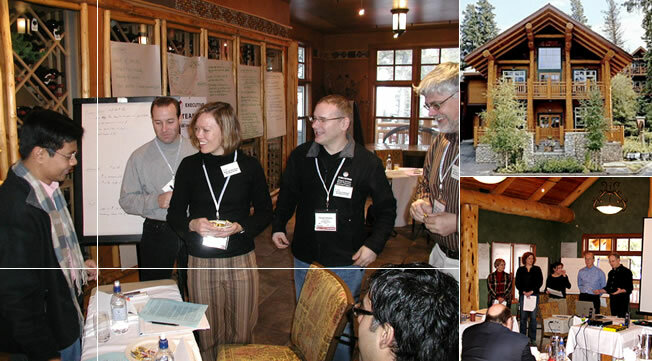 Come join us in Banff, Canada in January to explore these and other compelling executive leadership issues! As well as providing networking and other professional development experiences. Copyright © 2010 International Institute for Television Leadership All rights reserved.